From what I hear, second semester of 1L year is a lot less stressful than first semester. They tell me I can already sort-of speak law, my ability to read cases has improved, and I know what to expect as far as cold-calling and final exams. I’m crossing my fingers these aren’t lies to make me feel better. What does make me feel better is that I have accepted my first co-op position for this coming summer! I’ll be working at the Greater Boston Legal Service’s Immigration Unit. The office seems fast-paced, laid-back, and all around fantastic. Plus, I think I’ll get to practice my Spanish! I’m in the middle of LSSC Social Justice Intensive Week. It has been a great opportunity to focus on getting a large chunk of our project done while getting cozy with my Law Office in the NUSL library. We’re working hard, taking few breaks, and letting our fresh brains and attitudes carry us through the week. As my second semester books are slowly coming in the mail, I’m trying to get the last Hunger Games book finished (read them!) and do more “fun things” before the work begins. Last weekend, I baked cookies with my sister and ate so much dough that my stomach hurt. 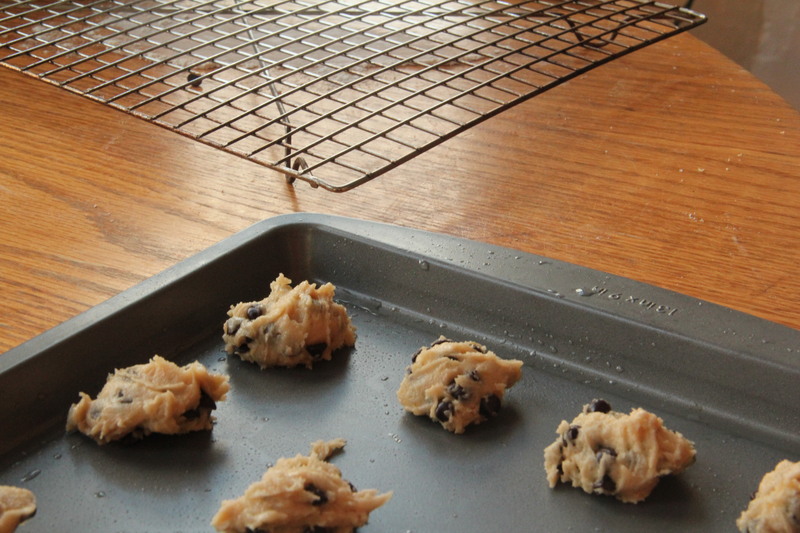 There’s nothing like warm, fresh cookies on a cold winter day. So, I took a picture of the fruits of my labor and then ate veggies for dinner. Consider that 2 checks on the Resolution list. This entry was posted in Amy '14, Current Students and tagged Academic term, Cooking, Hunger Games, New Year, new years resolution. Bookmark the permalink. It sounds like an incredible co-op opportunity! Congratulations!